More than $6.2 billion of tax increase proposals are pending in the California Legislature, according to an analysis by the California Tax Foundation. Among those being considered in the Legislature are taxes on new tires, firearms, clean water, prescription painkillers, attorneys, car batteries, corporate taxes based on CEO salaries, additional taxes on estates valued over $3.5 million, and taxes on oil and gas extraction. California remains one of the only states to have no taxes imposed on this industry. “In California, a tax is defined in law as any charge – regardless of its label – that generates revenue to fund a general benefit for the public,” the California Tax Foundation explains. In order to levy taxes or increase an existing tax, the proposal must receive a two-thirds majority vote in the Legislature. Voters can also impose statewide taxes through ballot initiatives. Voters are also required to approve locally imposed taxes. 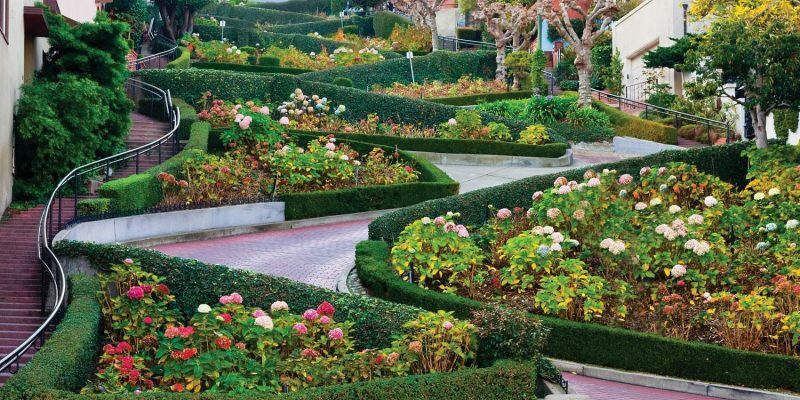 One local tax facing residents of San Francisco is a proposed toll to drive down one of its most famous roads: Lombard Street. Drivers might have to pay between $5 and $10 to drive along the self-proclaimed “crookedest street in the world” if county transportation officials approve a reservation and fee plan. Made famous by movies, 2 million tourists come to visit the street every year. Drivers reportedly cause traffic jams as long as four blocks waiting to reach the top of the street. The county would regulate how many cars could pay to drive on Lombard Street over a 12- or 24-hour period. One proposal being considered would limit 2,400 vehicles, and charge drivers $5 on weekdays and $10 on weekends. Drivers would be required to book a reservation online, enter their license plate number, and pay. According to a recent survey released this month by the Public Policy Institute of California (PPIC), “Most Californians say they pay more in state and local taxes than they should.” Asked about state and local taxes, solid majorities of Californians across income groups (60 percent of adults, 63 percent of likely voters) say they pay more taxes than they should, the poll found. “As the April 15 tax deadline looms, many Californians are complaining about the state and local tax system and the impacts of recent changes in federal tax laws,” Mark Baldassare, PPIC president and CEO, said in a statement. The fees and added congestion on top of increased taxes may all contribute to the large number of Bay Area residents who say they are seriously considering leaving the state. According to a recent survey by Edelman Intelligence, 76 percent of those surveyed living in the Bay Area say they are thinking of leaving the state compared to 53 percent of Californians and 63 percent of millennials. Among those surveyed by PPIC, 47 percent of adults said housing costs alone were causing them to seriously consider leaving the Golden State. California has recorded net domestic out-migration since at least 1991, according to state data, meaning it has lost more people to other states than it has brought in from them – nearly every year.